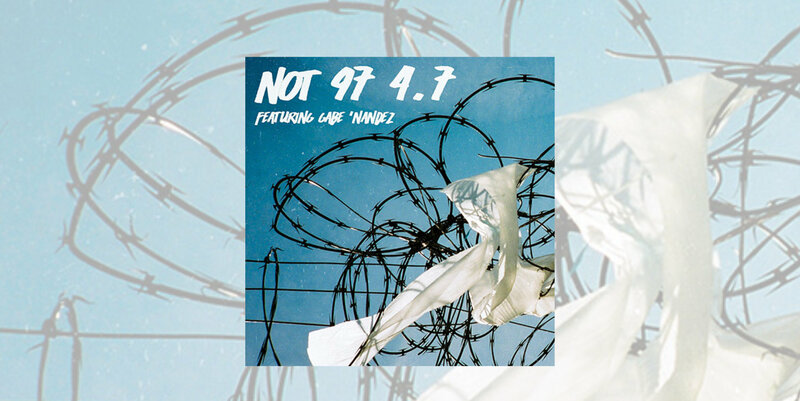 This is NOT 97, a home for discovering new music from talented, under-the-radar artists around the world. On each episode, three hosts and a guest meet around a table at Only NY to discuss fresh music found in the depths of the Internet. They present two tracks each, released in the last six to eight months from artists with under ten thousand followers. Discourse and context round out each show, as the team breaks down what they hear and what each sound means to them. Gabe 'Nandez — the raw New York rapper — joins us on today's episode. Those that attended the Not A Showcase event in October already know 'Nandez's sharp talent. The multi-cultural rapper discusses growing up around the world and the craft of creating music as a bilingual artist. Gabe introduces us to his longtime friend and frequent collaborator Ibekelia, as well as the street wise Rochester rapper Rigz. We sample London's young, genre-bending scene with captivating tracks from Osquello, KiLLOWEN, and Isabelle Brown. And we tackle the opposite poles of hip-hop through Velvet Negroni's untraditional delivery to Tanner Molique's mainstream sensibilities. Gabe also plays his own song, Conneries, from the album Cliquetape.